Q. 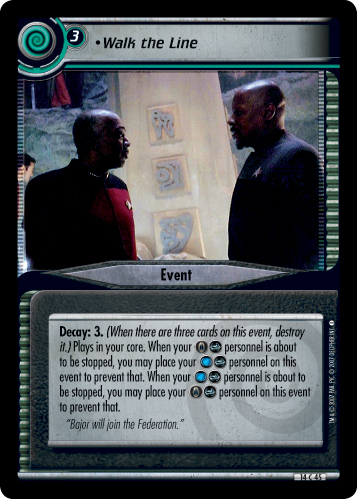 To play this event, you must command a Q event. Plays in your core. 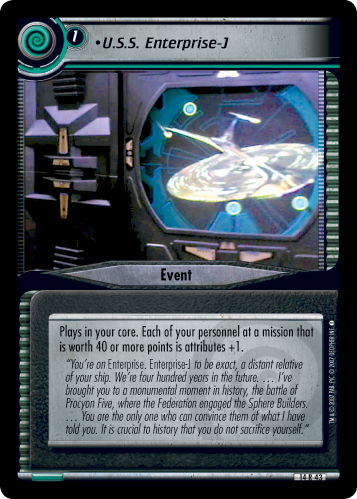 When personnel that the player on your right commands begin a mission attempt, you may destroy your other Q event to draw five extra dilemmas. "One dance, B'Elanna, that's all I ask. One dance."